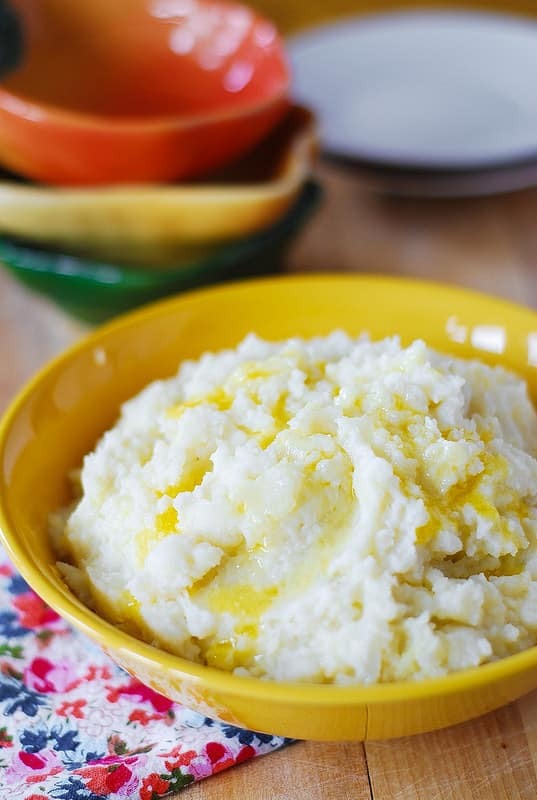 Greek yogurt mashed potatoes – delicious side dish for grilled meats. Gluten free recipe. Deliciously creamy Greek yogurt mashed potatoes is my new favorite, healthier recipe for mashed potatoes! No milk or half-and-half are used, just Greek yogurt, some butter, and water from boiling the potatoes. A smaller amount of butter is used for these mashed potatoes than usual, since we are using Greek yogurt to add creaminess. Greek yogurt adds a nice “tang” to the potatoes, and chopped green onions as garnish on top are perfect! 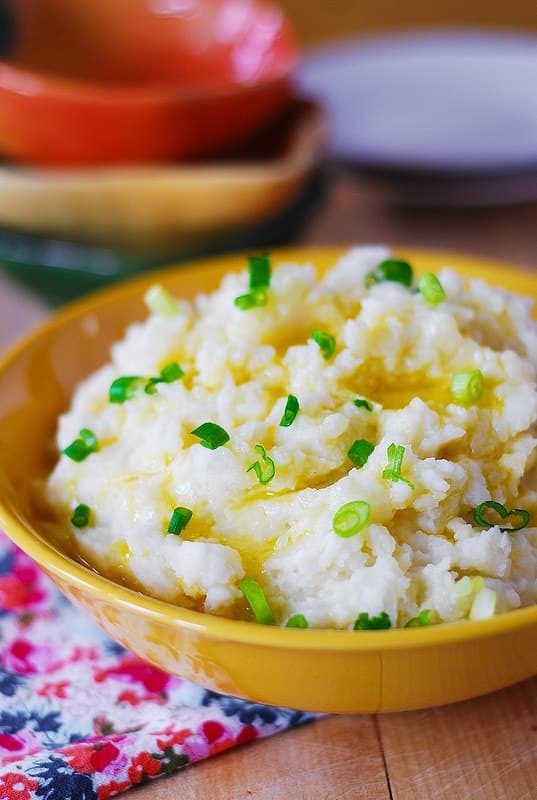 I love to serve these Greek mashed potatoes with grilled meats along with Oven-Roasted Asparagus with Bacon, Garlic, and Asiago cheese , or Garlic and Bacon Green Beans, or Asiago Roasted Broccoli. This recipe is gluten free, and will make a nice side dish to just about anything! Creamy Greek yogurt mashed potatoes - healthier recipe for mashed potatoes because less butter is use than usual! Also, no milk or half-and-half are used, just Greek yogurt, some butter, and water from boiling the potatoes. Greek yogurt adds a nice "tang" to the potatoes. Bring a large pot of water to boil. Add potatoes (peeled and cut into chunks). Cook for about 30 minutes until potatoes are fork tender. Remove from heat. Using a deep slotted spoon, move the potatoes from the pan with hot water into a large bowl. Reserve some of the cooked potato water. Using a potato masher, mash them slightly. Then, melt 3 or 4 tablespoons of butter and add to the potatoes, continuing to mash. Add 1/4 cup of hot water from boiling the potatoes to the mashed potatoes, continuing to mash. Add 1/4 cup of Greek yogurt, continuing to mash. Season with salt and pepper. Garnish Greek yogurt mashed potaotes with extra melted butter on top and finely chopped green onions. What a great idea – using yogurt! I never would have thought to put Greek yogurt in potatoes. Genius! Using yogurt in mashed potatoes is one of those ideas I’ve thought about, but never done. Gotta try this! And using Greek yogurt is brilliant. Thanks. 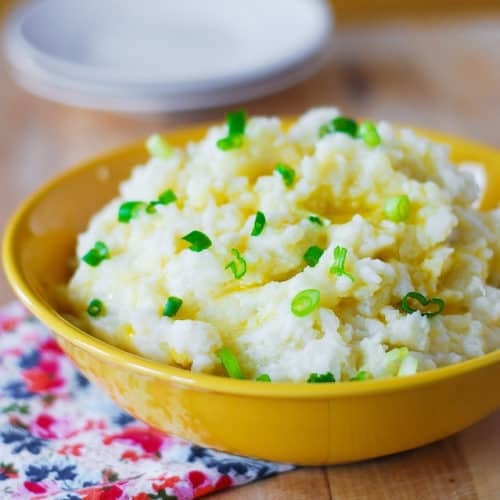 I LOVE this healthier twist on mashed potatoes! They look delish! Comforting and very tasty! I guess I can do the same with sweet potatoes too. 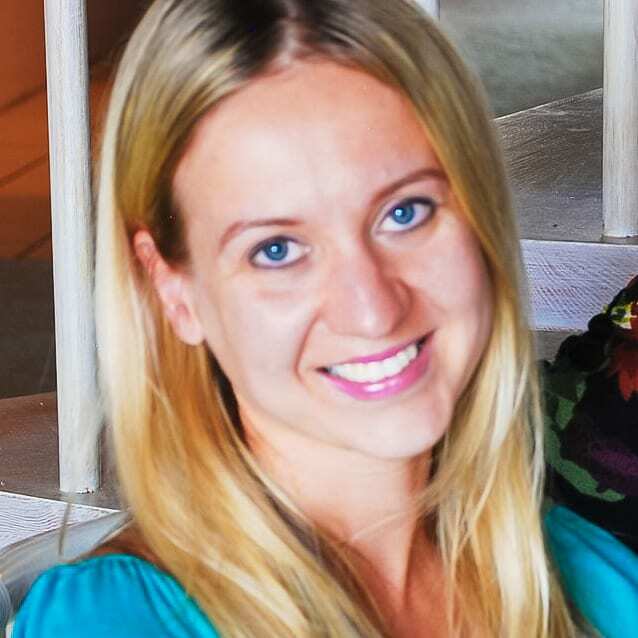 Thanks for sharing, Julia.